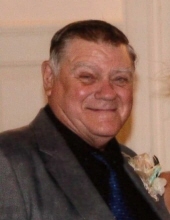 William Ralph Case, 80, of Fulton passed away on Wednesday, March 27, 2019, with family by his side. He was born in Guthrie, Missouri on September 9, 1938, the son of the late William Ray Case and the late Margaret (Trammell) Case. On May 1, 1959, Ralph married Juanita (Garriott) Case. She preceded him in death on April 7, 2016, after 56 years of marriage. Ralph loved heavy equipment and working with the public. At the age of 80, he retired from Holland Trucking, still enjoying his job. Ralph enjoyed joyrides through the country side with his wife, Juanita, spending time with his grandkids and great-grandkids; and visiting with his friends and family. Those remaining to mourn his passing include; son, William “Ralph” Case Jr. (Karey) of Fulton; daughter, Tina Case of Fulton; brother, Billy Case (Chris) of Fulton; sister, Louise Mistler of Centerview, and Hazel Elder (Roger) of Fulton; grandchildren, Levi Case (Patricia), and Caleb Simpson; great-grandchildren, Arianna Case and Tucker Case; and many nieces and nephews. In addition to his parents and wife, Ralph was preceded in death by brothers, Emmet “George” Case and Russell Case. Funeral services will be held at 11:00 a.m. on Monday, April 1, 2019 at Maupin Funeral Home in Fulton with Pastor Bruce Williamson officiating. Friends will be received from 5:00 p.m. until 7:00 p.m. on Sunday, March 31, 2019. Interment will be in Millersburg Cemetery. To send flowers or a remembrance gift to the family of William Ralph Case, please visit our Tribute Store. "Email Address" would like to share the life celebration of William Ralph Case. Click on the "link" to go to share a favorite memory or leave a condolence message for the family.